Phantom Pumps is a leader in the fluid processing industry and manufactures cost-effective, self-priming centrifugal pumps that match or exceed the performance of high priced pump models from Gorman-Rupp, Warman, Durco, ESCO, All Prime and other world-renowned manufacturers. Professionals in the industry know they can rely on our pumps, components and custom pump packaged system services to increase productivity and lower costs at their facilities without scarifying performance. All Phantom Pumps equipment is produced, tested and assembled in the United States to ensure our own high-quality standards are met. Better still, most of the centrifugal pumps, positive displacement pumps, Dpumps and other pumps in our lines are compatible and interchangeable with pumps in use in nearly any pump packaged system at industrial fluid processing facilities. Phantom Pumps Dpumps and other exceptional products can be combined to create custom pump packaged systems that fits your unique operation specifications. Low-pressure pumps with maximum solid handling ranges from 1-3/4” to 3” are interchangeable with many Gorman-Rupp T Series, ESCO LP Series and All Prime S Series pumps. Our high pressure, non-clog pumps with 1-3/16” to 1-1/4” maximum solid handling ranges are compatible with U Series, HP Series and I Series pumps from other top pump manufacturers worldwide. Our Dpumps Line features pumps available in a variety of materials and features different RPM ranges and impeller diameters. 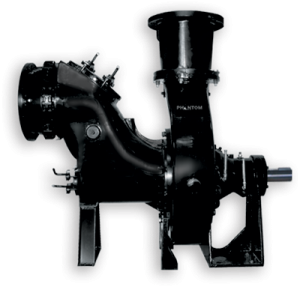 Organizations in Florida, Georgia, Virginia, North Carolina, South Carolina and other areas in the US using a pump packaged system can lower equipment related costs by replacing existing equipment with Phantom Pumps Dpumps or other pumps in our lines. All Dpumps that are interchangeable with brand name pumps feature patented designs and have shown improved performance and longer wear life than other brands in severe duty field trials. For cross-reference materials, technical data and quotes on any of our pump systems, contact a Phantom Pumps associate today.